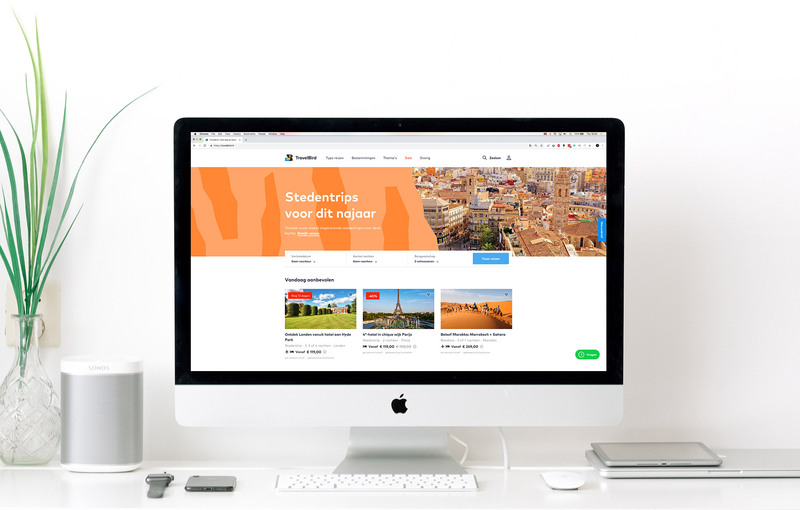 At the beginning of 2018, TravelBird officially launched their new brand to the world, with a more specific strategy and redesign. In early stage of this new strategy (made by XXS ) we, as the design team, discussed, brainstormed and explored about what our new brand design could look and feel. The new visual identity system is built around the spirit of our company’s purpose: “Inspire travellers to discover a world of difference.” Keeping this in mind we came up with several ideas which could define our new brand identity. We established three key values, which guided ourselves during the design process. Travel is diverse, exciting, and always promises something new. Our visuals are just as colourful and rich, changing over time with seasons and locations. Our abstract illustrational style hints at a world off screen. We spark curiosity and let imagination fill in the blanks, or paint the bigger picture. Our visual style is simple and to the point. We believe that by focusing on the core, we can communicate more clearly and compellingly. As TravelBird is using a lot of stock photography, the platform looks similar like every other travel competitor. By taking a zoomed in crop of pictures, we can distinctive ourselves more. The overall feeling didn’t look exactly the same as every other travel website, and it fits perfectly with our intriguing value: sparking curiosity. During the process we hired an Illustrator. His first assignment was to draw birds and feathers. Travel Bird, Bird.. You got it.. 😉 We really liked the feathers, but didn’t know how to use them in our brand and platform directly. But by cropping and colouring them in different ways they started to look like organic and natural environments, like a desert, jungle, sea and mountains. In this way we create a broad spectrum in which we can express ourselves. Especially when matched with photography in shape and colour, the abstract shapes start to build a meaningful visual identity for our brand. After a lot of polishing we had our new visual identity, which we could apply in all places like website, app, product pages, campaigns, video, social media, banners, print expressions etc. – Because of the many complementary colours it was hard to add it into visuals and pictures, without adding a white rectangle behind it. – The logo was placed into the word mark, which was outdated. Besides the logo was using a Slab font which was only used there. Solution was redrawing the bird, which makes it work better when scaling down to smaller sizes. Updating the bird with the new colours of our visual identity, which we used everywhere on the platform. And taking the bird out of the word mark, so we can also use it on pictures and illustrations without displaying the bird.